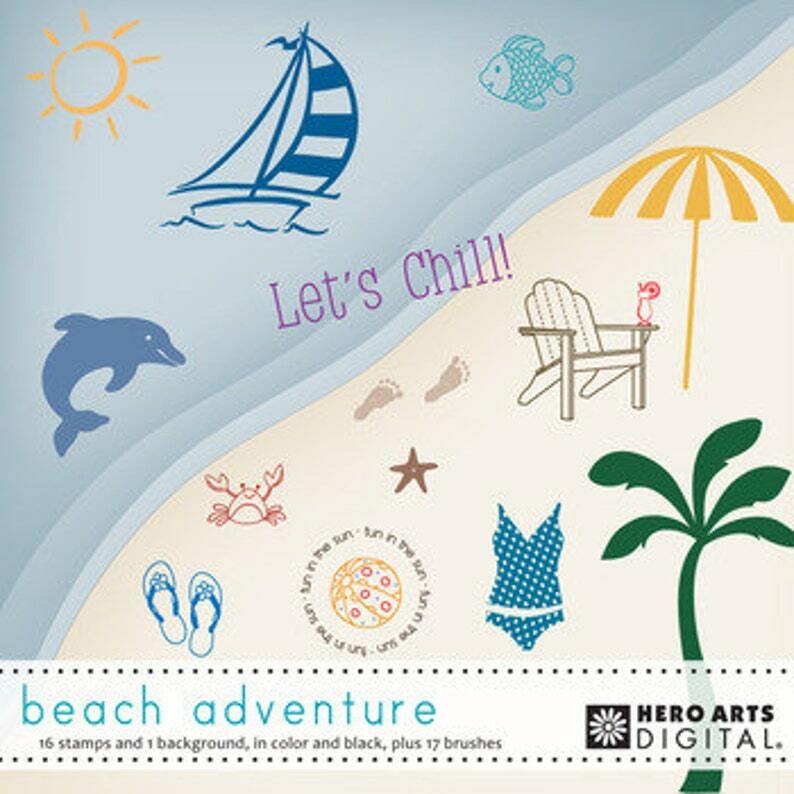 Chill out with some sun and sand fun. with this kit all about the seashore. Images include a sand and surf background, along with shells, beachwear, sea life and more. 17 stamps (png), in both color and black, and 17 brushes (abr). Ideas and extras also included. Cards shown in pictures are ideas and are not included in the kit.